Independence day sings of freedom, summer heat and more food than you could possibly eat. Unless, of course, you set yourself up with recipes that are so delicious that it would be unpatriotic not to try them all. 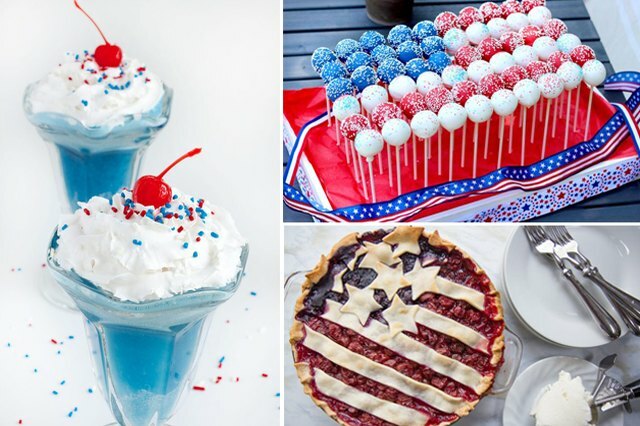 From pizza cones you can hold while playing games, to baby back ribs you can bite into after a dip in the pool — plus apple pie, corn on the cob and pasta salad dishes to please your traditional sensibilities — there's a flavor for every hour in America's birthday. Whether you're hosting a 4th of July party or joining friends and family for a backyard fireworks show, these 15 recipes will deliver a food quest you can conquer. Now, take your taste buds on a parade right up to the fireworks show! The moment your friends and family arrive, their eyes — and hands — will notice this flag centerpiece. Irresistibly colorful and bubbly, these sprinkled cake pops will be the initial showstopper of your buffet table. It's guaranteed to go fast, so don't be afraid to fight for your favorite. Because the cake pops were just a pretty treat — ahem, not actually dessert — you'll have to start the 4th right with an ice cream parfait that brings a refreshing twist to the day's patriotism. 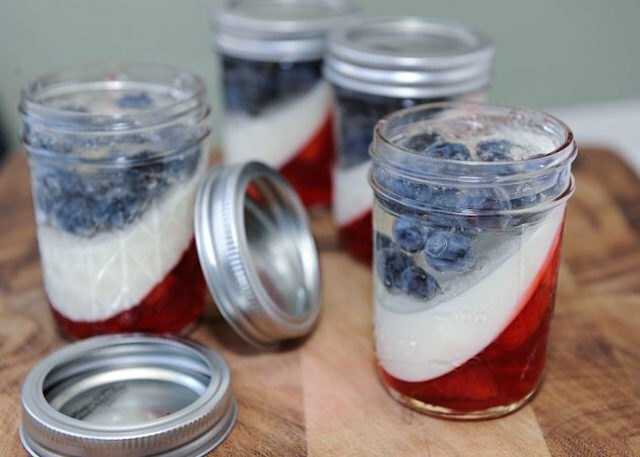 Make red, white and blue patriotic parfaits for the perfect portable snack that you can take from the backyard to the living room and back again. If pizza wasn't already the most popular party food, it'll soon become the ultimate finger food when you make it in the shape of a cone. 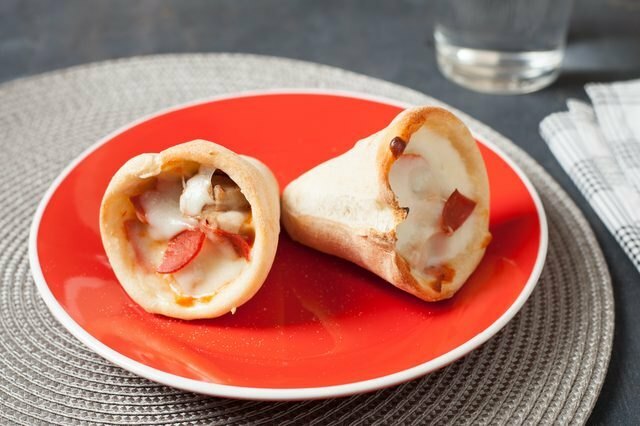 Though simple, pizza cones are the perfect next step in your quest to eat the best of the best on this day of patriotic celebration. 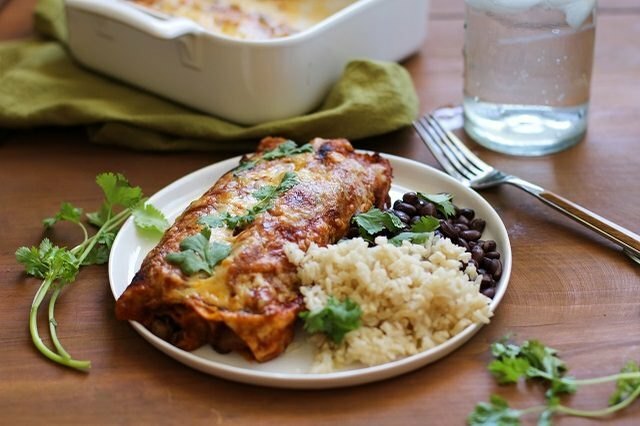 While your taste buds are surely chomping at the bit for that Independence Day grill, they can be partially assuaged with a healthier take on the classic enchilada dish. Try your hand at making vegetarian sweet potato black bean enchiladas for a flavorful option that doesn't involve charcoals and a match. 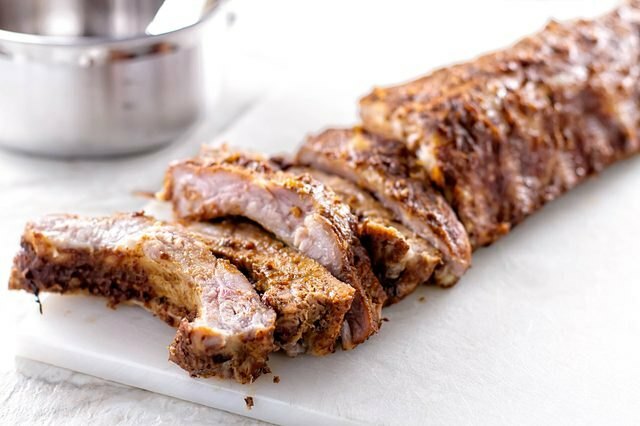 While your grill will probably be filled with classic hot dogs and hamburgers, you'll definitely want to clear some space for tender and flavorful apple butter barbecue baby back ribs. After trying the melt-in-your-mouth results, it will be a 4th of July food addition you'll be making from now on. You can never have too much corn on the cob on Independence Day, and since that precious grill space is limited, why not use the oven to get the job done? 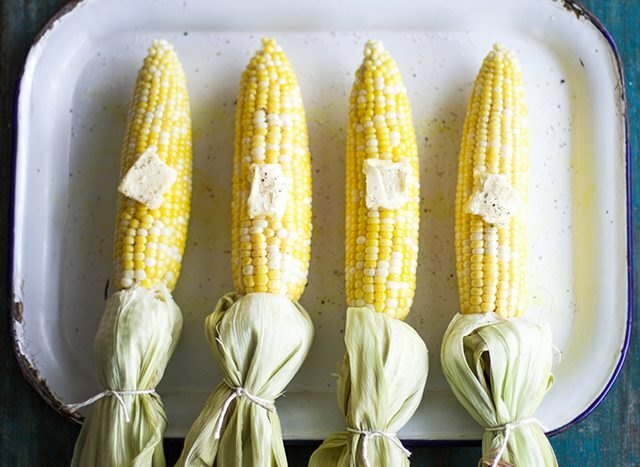 Try this method for baking delicious and moist corn on the cob in the oven, and you may never opt for grilled corn again. 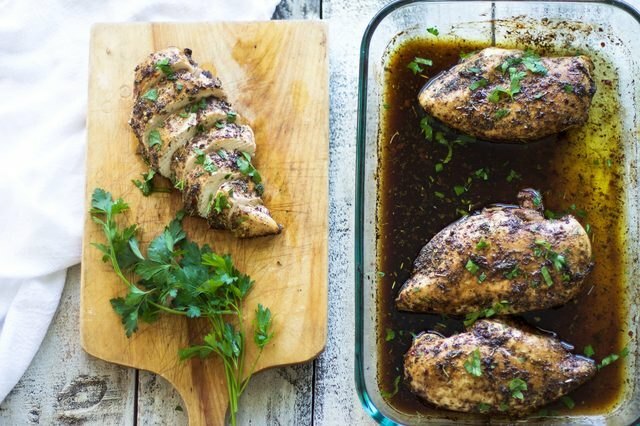 While chicken isn't the most classic 4th of July dish, a juicy baked chicken breast can be a good way to break up the grilled flavors. And when your chicken is the juiciest chicken on the block, you'll be glad you made it part of your 4th of July feast. When you've had plenty of the main 4th of July entrees, pause for a milk and cookies break. 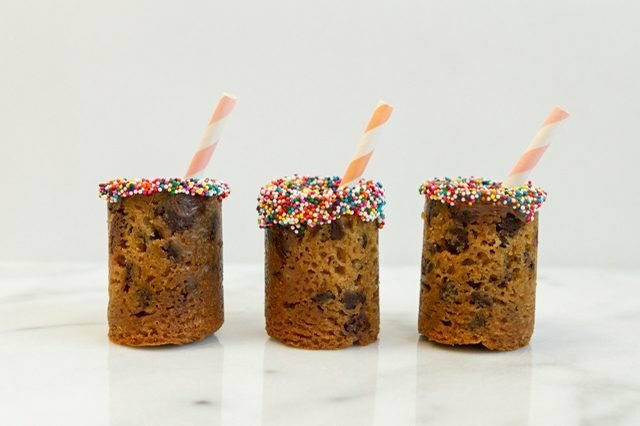 Here's a secret: there's a right way to do this, and it comes in the form of edible milk and cookies shot glasses. Once your sweet tooth is satisfied, get back to that grill. But for this part of your 4th of July food train, you're going to move into the more interesting variety of grilled summer foods. 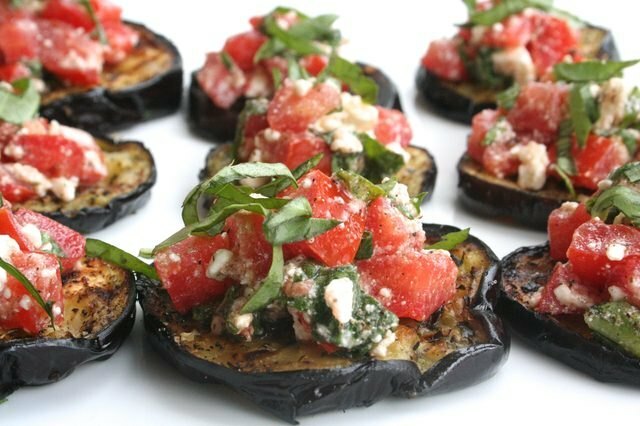 Grill eggplant for your barbecue and complement its soft and smoky flavors with the crisp freshness of bruschetta. 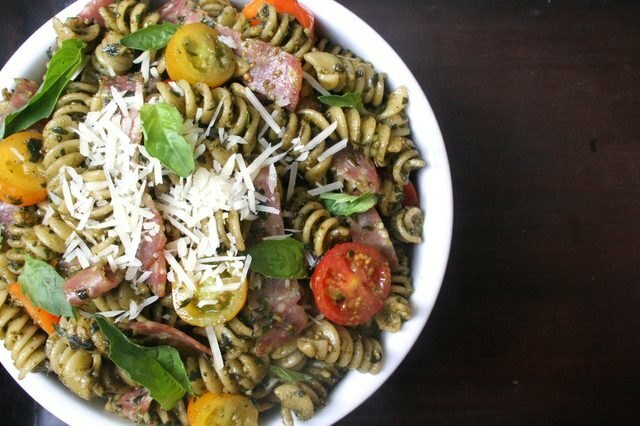 While you won't want to waste too much tummy real estate on side dishes, a pesto pasta salad is a must when it comes to Fourth of July. Place a scoop of the recipe's rich ingredients next to your entrees, and check another holiday must-eat off your list. You've surely gotten thirsty as you've traversed from dessert to grill to oven-baked goodness. 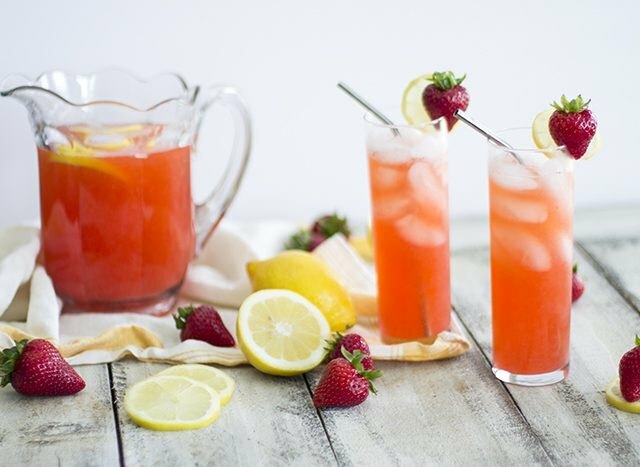 To keep your 4th of July as classic as ever, make old-fashioned pink lemonade to stay refreshed and hydrated. 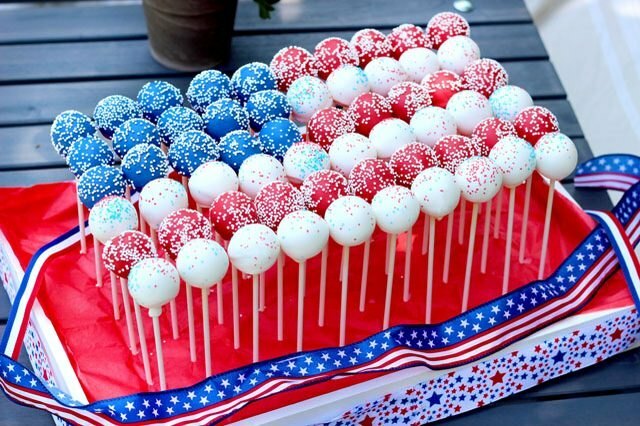 Now that it's full-fledged dessert time, you can jump into it with a patriotic vigor. 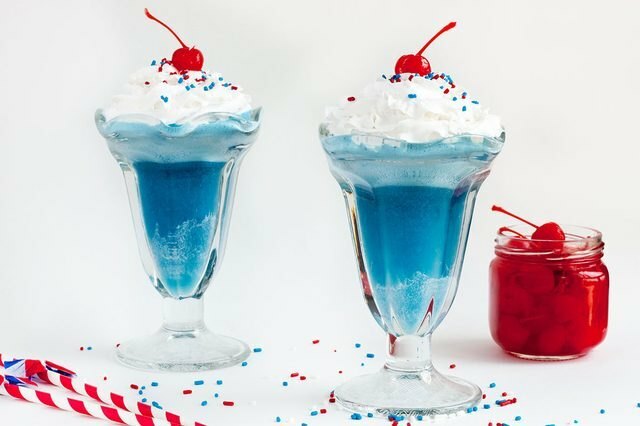 Get vibrant with your colors when you make 4th of July ice cream floats, and make even the most laid back guests break a smile at the sight of cherry-on-top sweets. While you're slurping down the last of your ice cream float, you might have another classic dessert in mind. Make soft and chewy rice crispy treats that will have you reminiscing over childhood Independence Days and the sugar highs you had then, too. With your sweet tooth still intact, you'll be ready for mini treats that you can have now and as a midnight snack later. 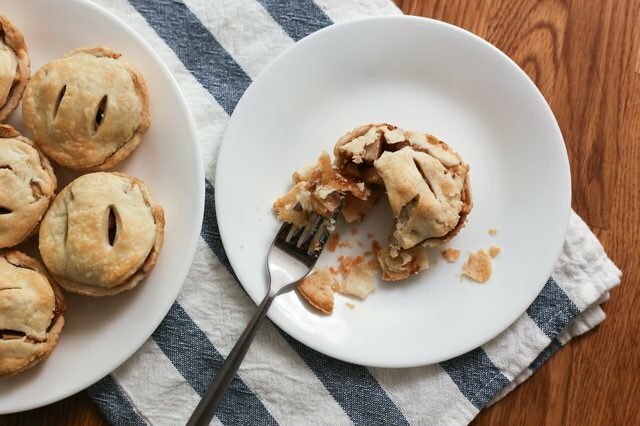 Whip up muffin tin apple pies for a treat festive and adorable enough to fit right into your 4th of July celebration. 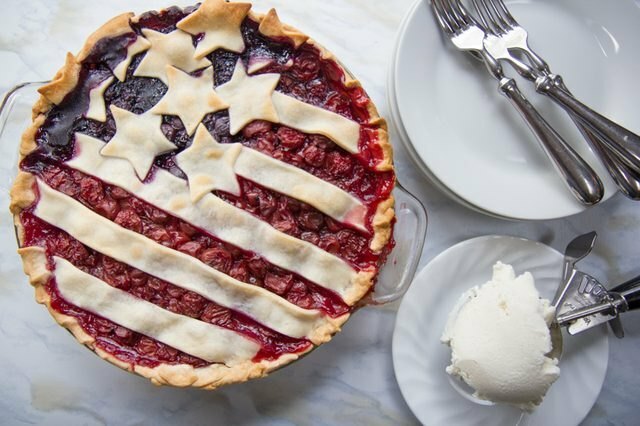 Before the fireworks start, bring out the grand finale: an American flag cherry blueberry pie. Make this homemade masterpiece for a fittingly impressive end to a day of festive foods and freedom celebrations. With a scoop of vanilla ice cream on the side, you'll happily know that your 4th of July food quest has been successfully completed.